Technology provider SITA says trials of facial recognition technology at Brisbane Airport have shown a 70 per cent reduction in processing times for boarding and checkin. In March, Air New Zealand, Brisbane Airport and SITA commenced an Australia first trial featuring the use of facial recognition technology at checkin and at the boarding gate. 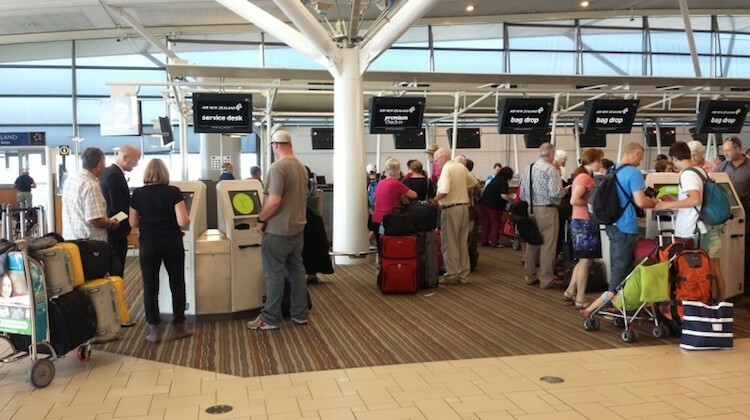 Under the trial, passengers heading across the Tasman from Brisbane flying Air New Zealand approach a self-service checkin kiosk featuring SITA Smart Path technology. 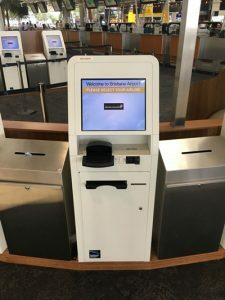 At checkin, the kiosk creates a “single secure token” using sophisticated biometrics – which in this case is the passenger’s face – that is linked to passenger’s travel documents. When it comes time to get on the aircraft, passengers simply walk through an automated boarding gate which uses facial recognition technology to verify the correct passenger is boarding the correct aircraft without the need to present a boarding pass, a passport or travel document. SITA president for Asia Pacific Sumesh Patel says there have been significant time savings at what he describes the “touch points” of a passenger’s end-to-end journey from checkin to boarding. “The current initial findings show that it will help reduce overall time by about 70 per cent with these biometric technologies at the touch points,” Patel told Australian Aviation during a recent visit to Australia. “Why this is important is today’s passenger, when we surveyed them, basically what they said is what they are looking for in terms of their airport experience is fast, easy and secure. That’s the top of their priority list. “But the challenge is how do we reconcile the passengers’ demand for an efficient and seamless journey with the increasing need for effective security. The increasing use of self-service options by airlines and airports was reflected in the recent SITA 2017 Air Transport IT Trends Insights report, which showed airports around the world were projected to spend US$8.4 billion on IT related matters in 2017, a 20 per cent rise from US$7 billion actual spending in 2016. Further, the report, published in September, said airlines were also lifting their IT budgets, with projected spending forecast to rise to US$24.3 billion in 2017, up 11 per cent from US$21.9 billion in 2016. In terms of self-service options, the SITA report found 97 per cent of airlines planned to offer checkin, boarding and flight status notifications via mobile by 2020. This compared with 73 per cent for mobile checkin, 70 per cent for mobile boarding and 68 per cent for flight status notifications via mobile currently. The increasing use of automated or self-service options is being rolled out as industry forecasts show the number of air travellers exceeding seven billion a year by 2035, compared with about 3.5 billion a year currently, with the bulk of that growth expected to occur in the Asia Pacific region. While there will always be a need for staff-assisted options for checkin, bag drop, border processing and boarding for passengers such as parents travelling with young children, the elderly or those with language issues, Patel said the trend was for more self-service, not less. “One of the most lowest scores in terms of passenger satisfaction is when they go through the passport check or when they are physically stopped or when there is a physical contact,” Patel said. “The same survey shows that the passenger experience is much higher when they use the self-service. The first phase of the Brisbane Airport trial involved the use of facial recognition biometrics only at checkin and boarding. However, Patel said it was anticipated the technology would soon be used at automated bag drop kiosks, as well as for border processing. “We already have the bag drop integrated and it is currently under test. We will put that in trial in Q1 2018. And immigration we are working with the authorities to try to integrate that,” he said. “We are going to use the same infrastructure as what they have. The good thing is we don’t have to replace everything, we just have to add to the existing gates the facial recognition camera. Patel said Australia had “always been quite advanced in terms of the technology adoption”. “That’s why you can see that the first airport we are trialling the single token is Brisbane Airport,” Patel said. Brisbane Airport general manager strategic planning and development Roel Hellemons said when the trial was launched it was a “great opportunity for passengers to help shape the future of travel”. “We’re always striving to improve the airport experience at Brisbane Airport and this trial will allow us to test and refine new technology that we hope will make standard check-in and boarding processes more efficient and secure in the very near future,” Hellemons said in March. SITA has published a video of passengers using Smart Path on its YouTube channel. A self service desk is only as good as the programmer. I personally find then irritant, and prefer the human contact and versions. Should be optional and not forced upon, like going to the shops, some people like the self serve and some prefer the old way. As long as there’s always 2 options it should be fine. Whilst I like the concept, I agree that it should be 2 options – self service or agent assisted.. I know that Australia and New Zealand wants to have a unified electronic Australia/New Zealand border and this technology is another step in achieving this goal with integration with the current Smart Gate system for out bound and inbound immigration processing in both countries. I think that SITA is using both New Zealand and Australia as for testing ground. My wife has just checked in to a flight to Bali with her grandchildren. Her words were “what a disaster and a pain before you go on a holiday” – no check-in counter and you have to do everything yourself, even lifting bags onto a belt when you are an aged person. She’s not “precious” but this is absolutely ridiculous and the people who come up with these ideas should go and see for themselves the hassle this stupid trial is causing. I would love to hear from someone with authority who could explain the benefits to me for the CUSTOMER!! !